Outstanding performances on the roads last weekend came from Stephen Scullion of Clonliffe Harriers and Anne Marie McGlynn of Letterkenny AC. 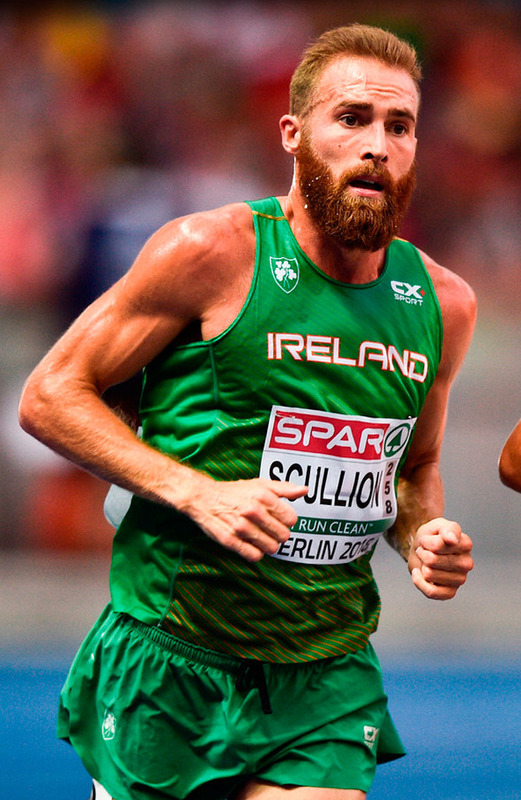 Scullion, who was last year's winner, returned to Dublin to win the SSE Airtricity Frank Duffy 10-Mile, which was moved from its usual location in the Phoenix Park to a less undulating course in Swords. His time of 49 mins 19 secs was not only a minute faster than last year, but saw him finish over 20 seconds clear of Welsh visitor Josh Griffith, with this pair the class of the field. Finishing close to three minutes behind for third was Paddy Hamilton of Slieve Gullion Harriers who was also first master. Raheny's Mark Kirwan and David Glynn of Galway City Harriers finished third and fourth, while second master and sixth overall was Shane O'Neill of Rathfarnham WSAF who was first M45. On a good day for Rathfarnham, Colm Murray finished first M50. First home of the women was Jane Ann Meehan of Athenry AC in 61 mins 12 secs. Finishing second was the much-improved Ciara Brady of Sportsworld AC, while third was Jan Corcoran of Le Cheile AC. In Derry, Anne Marie McGlynn of Letterkenny AC was first woman home at a well supported Waterside Half Marathon. McGlynn finished in 77 mins 01 secs, which was well off the time of 74:28 she ran earlier this year to win the Omagh Half Marathon. Overall winner was Freddy Sittuk of Raheny Shamrock, who out-sprinted Andrew Annett of North Belfast Harriers for victory in 70 mins 5 secs. Annett, who will run for Ireland at the World Mountain Running Championships in ten days time, was one second adrift for second. At Ormeau Park in Belfast, Ben Branagh of St Malachy's AC and Irish marathon international Gladys Ganiel O'Neill were the winners at the Laganside 10km. Branagh finished in 32:07, while Ganiel O'Neill clocked a time of 37 minutes exactly. Wearing No 1 in the race was Paula Radcliffe, whohas strong Irish connections through her husband Gary Lough, a former Northern Ireland international athlete. She finished in a time of 42:35. Runaway winner of the Tony Donoghue Moone 10km in Co Kildare was Thomas Hayes of Kilkenny City Harriers in 31 mins 03 secs. Sheila O'Byrne of Sli Cualann was first woman and seventh overall in 39:57. Kerry Page of Clonliffe Harriers was second and Lisa Hughes of Le Cheile AC third. Hiko Tonosa of DSD proved the class of the field at Saturday's Seamie Weldon 5km in Ardee, Co Louth, winning in 15 mins 7 secs. Half a minute adrift was Freddy Sittuk of Raheny Shamrock, with Dunleer's Darragh Greene a close third. First woman was Karen Costello of Dunleer. David Flynn of Clonliffe Harriers continued his recent winning streak with victory in the Tara 5km in Co Meath on Friday evening. Flynn's time of 15.07 saw him finish comfortably clear of Efrem Gidey of Clonliffe Harriers, with Thomas Moran of Dunshaughlin AC third. Dunboyne's Jane Bandila was first woman.